The Engl Artist Edition was developed as a modified version of an E650 Blackmore Signature head, originally used from 2006 as a studio amp by Gary Moore. This first unit was eventually returned to Engl upon Gary' passing. 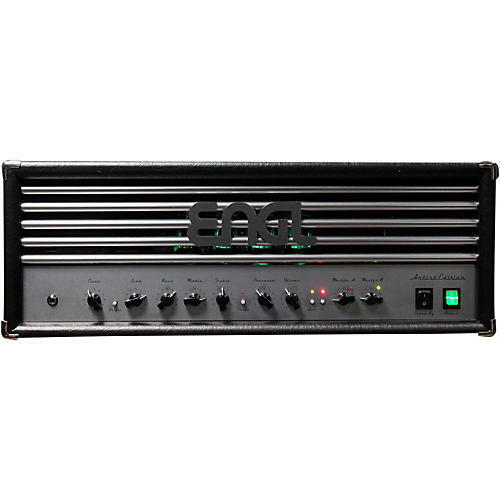 Although based on the E650, Engl amp designer Horst Langer incorporated some modifications such as replacing the 5881 power amp tubes and voicing with EL34'. Within a short time, word got out about this version and artists such as Doug Aldrich, Ken Hammer, Paul Stanley and Scott Gorham put in their requests. Paul Stanley and Ken Hammer are still actively using their amps live on stage.